Home Miss Earth Miss Universe Miss World AUSTRIA's Reps for 2017 Miss Universe, Miss World & Miss Earth named! AUSTRIA's Reps for 2017 Miss Universe, Miss World & Miss Earth named! Celine Schrenk was named Miss Universe Austria 2017 at a crowning finale held on July 6, 2017 at the Grand Casino Baden, Baden, Austria. This 19-year-old beauty from Lower Austria will now represent her country at this year's Miss Universe pageant. The highest placement of Austria in Miss Universe pageant was first runner-up finish of Eva Rueber-Staier in 1977. 19-year-old gorgeous Bianca Kronsteiner from Oberosterreich is Austria's representative for Miss Earth pageant in the Philippines. In 2016, Miss Earth Austria becomes a major title of Miss Austria Organization. 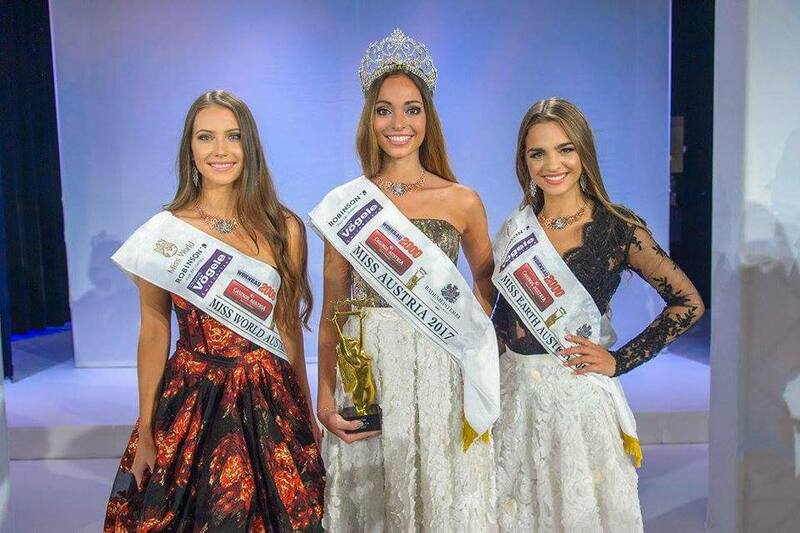 These 3 girls bested 16 other beauties at the Miss Austria 2017 competition. Congratulations and good luck!